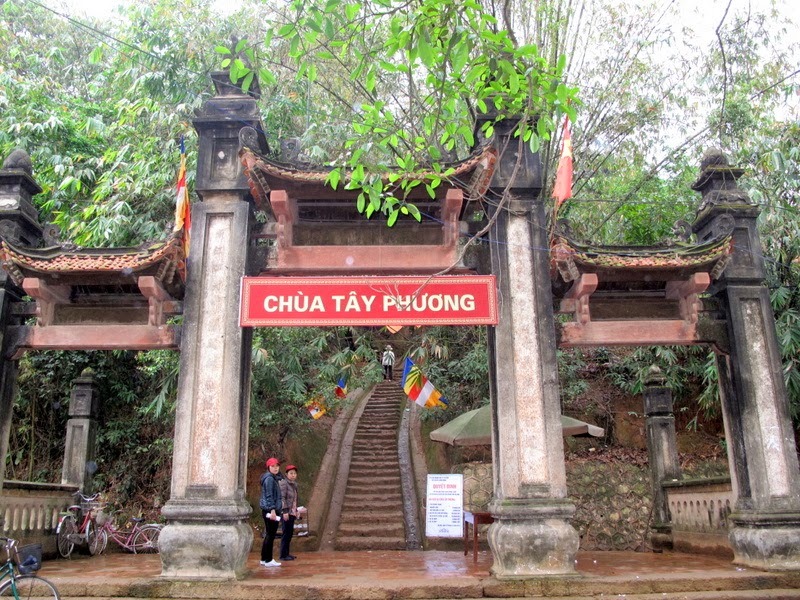 Tay Phuong Pagoda (Chùa Tây Phương) locates in Yen Village, Thach That District, Ha Tay Province and about 30km from Hanoi City. It is also an exposition gallery for many national engraving and sculpture masterpieces. From the long time ago, it is considered as one of Vietnam popular destinations. This place which becomes one of Vietnam was built in the 8th century and has been restored several times since. In 1632, the pagoda was rebuilt according to the Sino-Vietnamese character Tam (three), featuring three sections: the upper sanctuary, back palace, and lobby rooms. After climbing 239 stone steps bearing the signs of the passage of time and sheltered by the shade of age-old trees one reaches a gate. The gate carries the name of the structure: Tay Phuong Co Tu (Ancient Pagoda of the West). According to the inscription on a 17th century stone stele it also has two other names: Sung Phuc Tu and Hoang Son Thieu Lam Tu. The central construction has a directing role and is consequently raised higher than the others. It symbolizes Heaven. The construction at the rear plays the role of a foundation: it symbolizes the earth. The construction closest to the world of man stands in front. The whole structure is the symbol of Thai Cuc (the Prime Principle, from which the whole world derives). The double tier of the roof symbolizes the double principle, LuongNghi, yin and yang. The slopes, the roof on the four sides symbolize the four elements of heaven, TuTuong; the sun, moon, stars and deities, while the slopes on the eight sides stand for the Eight Signs of the Sacred Octagon (Bat Quai). All the wooden parts of the pagoda are beautifully sculpted following folk motifs: mulberry leaf, ficus leat, lotus, chrysanthemum; dragon, phoenix, unicorn, turtle, liondog etc. But the Tay Phuong Pagoda is mostly famous for the statues it contains, magnificent wooden sculptures representing Buddhas as well as Vajrapanis (Kim Cuong, English name is diamond) and Arhats (La Han, English name is saint) who are middle-ranking Buddhist deities. One in particular portrays Sakyamuni in meditation at the foot of Tuyet Son Mountain (Snow Mountain aka Hymalaya). He was then leading a life of extremely severe ascetics, and his emaciated body, as represented by the statue, shows good knowledge by the artist of human anatomy. 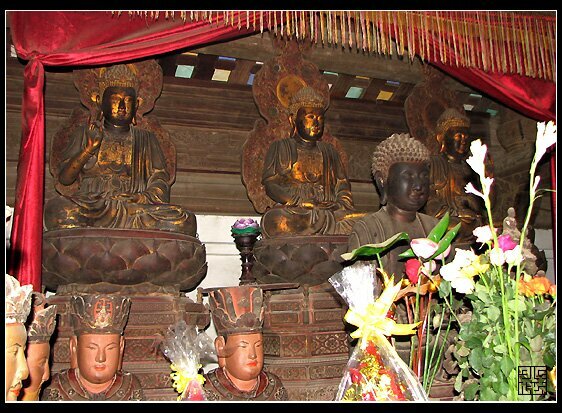 The figures of the Arhats each bear distinctive features which depict meditation in original aspects. All are impressive works of art. The central piece of the festival is the Sam Hoi (Expiation) ceremony, held on the 6th day of the 3rd lunar month, which calls on all men to practice compassion and charity, to avoid wrong doing, and aim for serenity and quietude. It is the end of the tour around one of Vietnam popular destinations like this place. 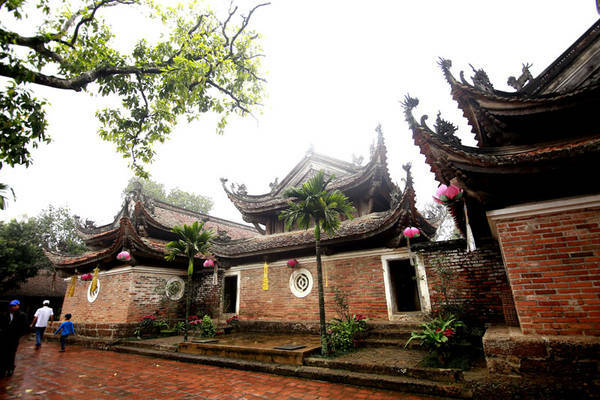 Tay Phuong Pagoda is not only an historical site with valuable architecture, but also a scenic spot in Hanoi. This place attracts a high number of tourists for this province each year, especially the Lunar New Years’ time. Come to one of Vietnam popular destinations like this place at that time, you will probably like it too much. Hope you have a happy trip in my beautiful country.